Strange little space bugs are invading your worlds-and it's up to you to stop them! 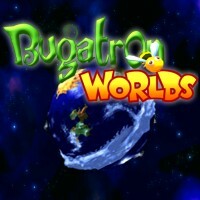 Bugatron Worlds is fun, fast, and easy to play- with tons of exciting enemies and bosses to battle! There are 9 trophies to collect as you zap your way through the creepy-crawlies! The power-ups are plentiful and will never cease to amaze you! It's a shooter with REAL retro appeal, so what are you waiting for? query: INSERT INTO accesslog (title, path, url, hostname, uid, timestamp) values('Bugatron Worlds', 'node/1494', '', '3.80.224.52', 0, 1556144812) in /home/surelion/public_html/drupal-4.6/includes/database.mysql.inc on line 66.